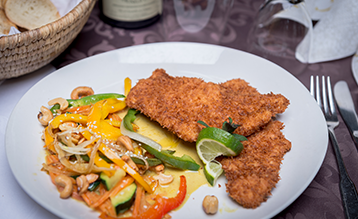 Located in the beautiful and historic Grund district of Luxembourg City, we are proud to provide our guests with a welcoming atmosphere and a wide variety of delicious dishes. Being a family business with a long tradition, many ideas and dishes have been passed down from generation to generation. We believe in a fresh homemade kitchen that encompasses everything from the finest ingredients to the most passionate team to give our guests an authentic, memorable experience here at Bosso. FlammkuecheA celebrity in South Germany. Typically made on a piece of thin, rolled-out bread dough with a layer of crème fraîche, we create various combinations of meats, vegetables, classics and more for your to discover. SchnitzelA classic Austrian hit! Loved and adored around the world. 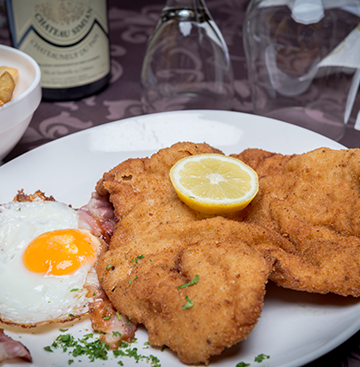 From the classical breaded Wiener schnitzel to modern Italian and Asian variations, we provide wide selection of Schnitzels to spoil every palate. Great Schnitzels, nothing else! 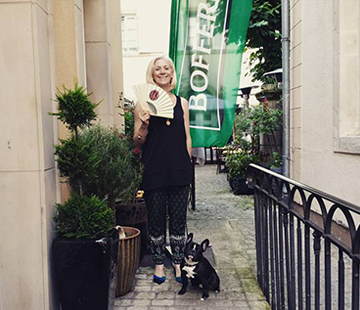 VegetarianGet ready to go green! We did not forget our dear veggie fans as we offer tasty appetizers and unique vegetarian food combinations. Healthy, fresh and of course, 100% vegetarian. RöstiThe royalty of the potato family. 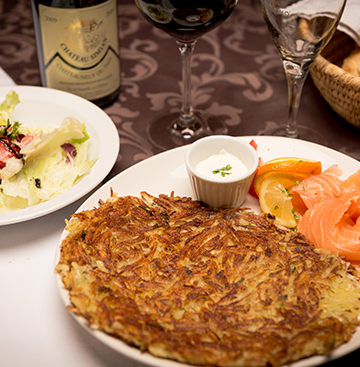 This simple, yet delicious golden-brown potato pancake is one of a kind. Served with homemade dips and accompanied with a combo of your choice. SpätzleA Bosso signature dish. An experience to remember. 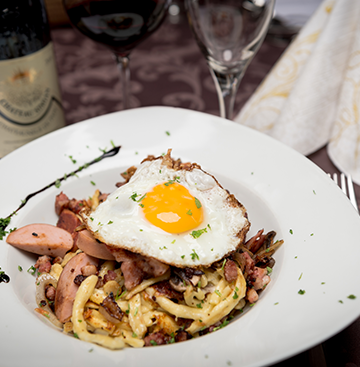 Also known as "little sparrows," Spätzle are soft egg noodles that are fried in a gorgonzola-mozzarella-white wine-sauce. 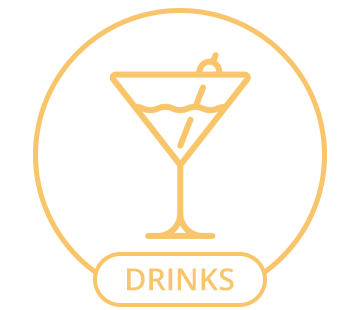 You can mix it with our Bosso combination (a guests' favorite!) 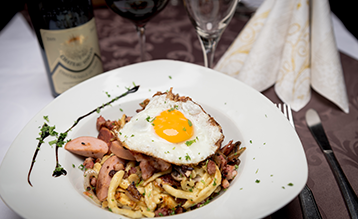 or try our traditional version with bacon or mushrooms. You can also call: +352 26 864 155 to make a reservation. Offered with chicken or pork meat, it is breaded in coconut flakes and fried in a pan. With a mix of Asian and season vegetables from the wok, we add a light coconut sauce and roasted cashew nuts. Fried Egg noodles in a gorgonzola-mozzarella-white wine-sauce. 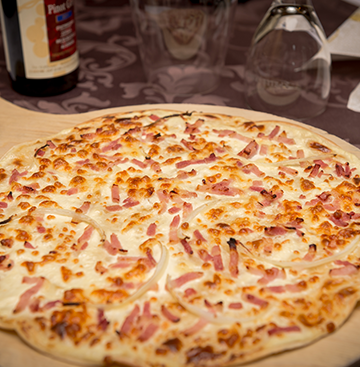 The gold-brown crust from the melted cheese is perfectly combined with bacon, onions and Lyoner, a typical German sausage. On top is a fried egg as the coronation of the dish. A guest favorite! Make a culinary travel and experience the unique taste of this tenuous Paraguayan fillet. 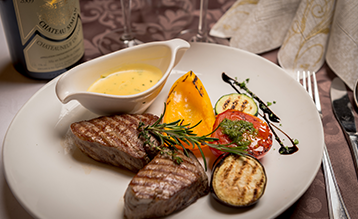 Grilled with marjoram and season vegetables, it is served with sauce Béarnaise, a French classic. Enjoy a delicious dish for palate and eye accompanied with one of our side dishes. 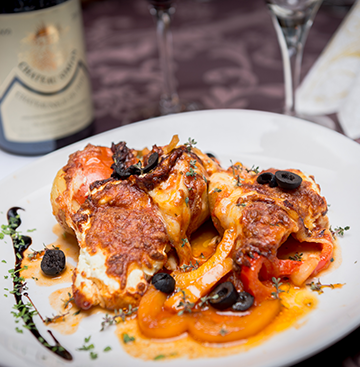 Discover more about our dishes and find your favourite combination in our menu. We are glad to provide you with a wide variety of foods to satisfy all of our customers' tastes. Un accueil chaleureux. Un décor agréable. Un personnel adorable. Une excellente cuisine. Des prix raisonnables. Bref : l'adresse a ne pas manquer au Grund.